Montessori for Ageing and Dementia is an innovative approach to dementia care that can be adopted for individuals or groups as a philosophy of care. 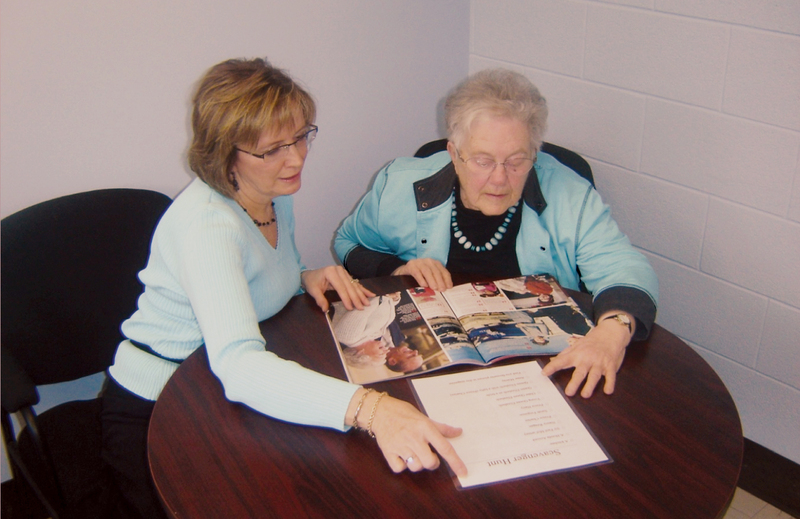 The goal of the Montessori programme is to support older adults and people living with dementia by creating a prepared environment, filled with cues and memory supports, that enables individuals to care for themselves, others, and their community. We strive to develop communities that treat individuals with respect and dignity and honor their choices so that they may live as independently as possible. In 2014, AMI invited Montessori and Dementia experts from across the globe to form the first Advisory Group for Montessori for Ageing and Dementia (MAGAD). MAGAD is the main advisory board to AMI on all matters concerning the application of the Montessori approach for older people and persons living with dementia. To date, the Group has created a charter, standards, and quality indicators for aged care communities, developed a workshop curriculum and has established specific guidelines for obtaining a Practitioner’s Certificate in Montessori for Ageing and Dementia.